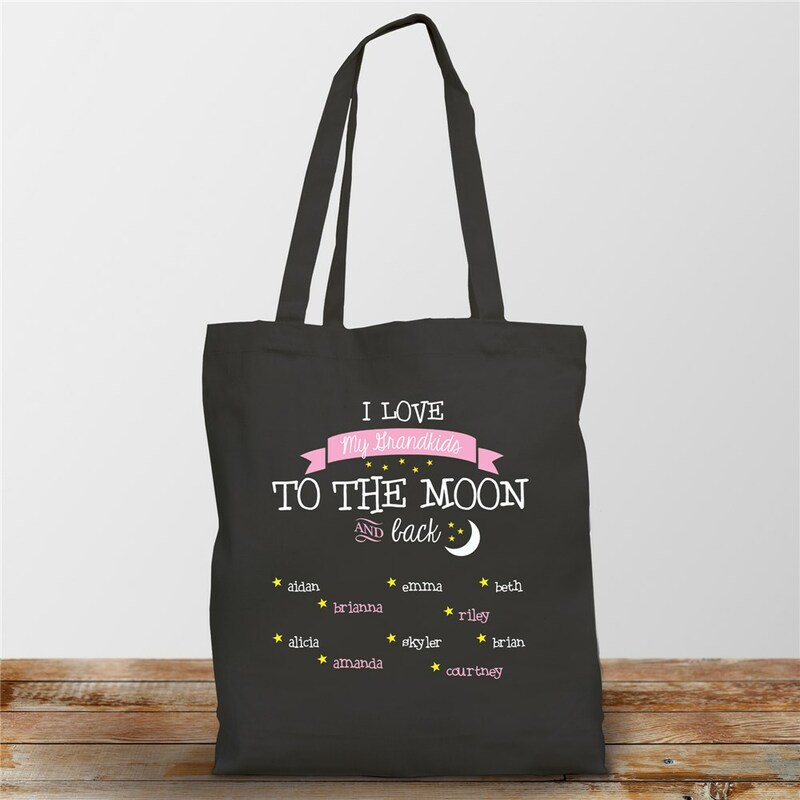 Show your loved ones how much they mean to you when you take along this Personalized To the Moon and Back Canvas Tote. This adorable tote bag can be personalized with any title - such as kids, grandkids or students - and up to 12 names to make this design one-of-a-kind. Wonderful as personalized Mother's Day Gifts, birthday gifts and more! My mom loved it! It looks better than the picture. The bag is also a good size.